The good news? Public bathrooms and, even, public toilets aren’t likely to pose a health threat to you, your employees or your customers. The bad news? That doesn’t make them the cleanest or most sanitary place on earth. 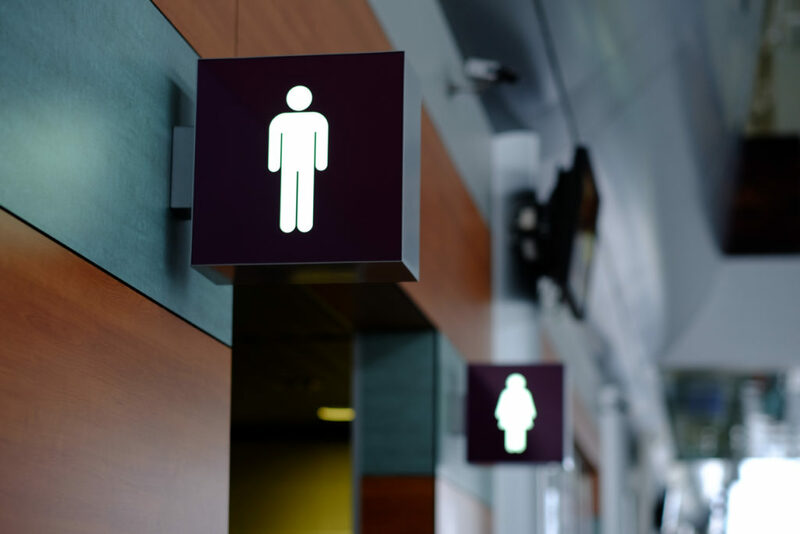 And if those bathrooms happen to fall in your business or some other high-traffic spot you manage, that falls to you—and that responsibility can be pretty steep. 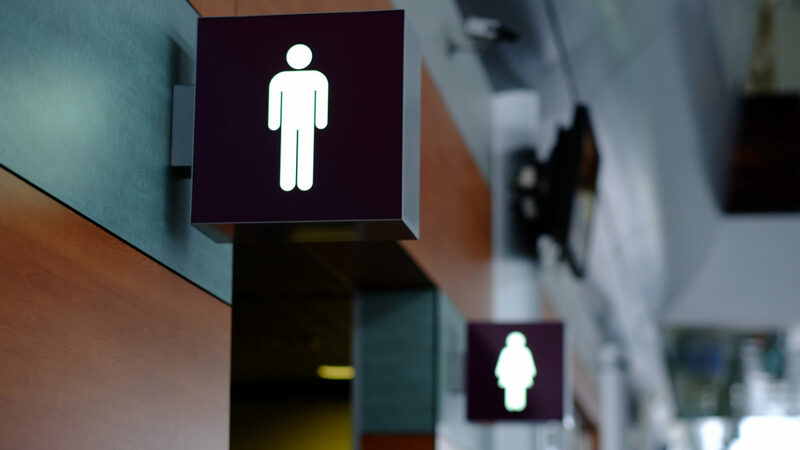 In a 2011 study at University of Colorado Boulder, the team found 19 different kinds of bacteria across 12 on-campus public restrooms. The majority of the bacteria aligned with common types found on the skin and in the human gut—and most were transferred from users’ hands. And on the floors? 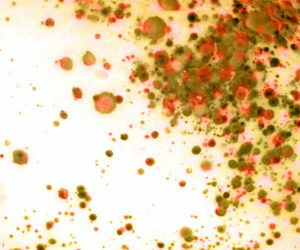 While these bacteria were also present, several likely found their way in on the bottoms of users’ shoes. The worst part? About two in five shoes have the bacteria C. difficile on the soles—a bacteria that’s largely antibiotic resistant. Other common bacteria that’s finding its way onto your floors? Coliforms (96% of shoes), e coli (27% of shoes) and dozens of other types. Toilets flush and splash a bit—or, worse, leak a bit. Sinks overflow. People don’t fully dry their hands, leaving a trail of water behind. The ceiling leaks. There’s lots of moisture in the air. People track water, mud and other liquids in on their shoes. And your floors get wet—really wet. Not only does all this added moisture lead to mold and bacteria growth, but it’s dangerous. A slip and fall can leave your business on the hook for some serious liability. 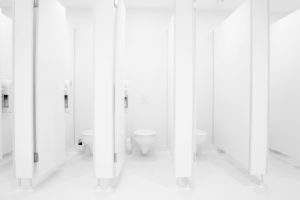 But, at the same time, it’s a tough problem to manage—even with daily cleaning and mopping, it’s hard to keep floors dry, especially in high-traffic restrooms. Let’s not forget about the dirt and general grime. Between people tracking it in on the soles of their shoes to spills, drops and other messes that get left behind, your bathroom floors can get very dirty very quickly. And once they’re dirty, they’re hard to get clean. The alternative? Focus on keeping them dirt- and grime-free—which, like the water and wetness, is easier said than done. Because, in our experience, dirt is a slippery slope. The dirtier floors get, the harder it is to get them truly clean—and that can make the problem even worse. Everlast® Floor’s resin-rich formula is so durable it can withstand constant heavy foot traffic 24/7. Best of all, though, Everlast floors are build to be stain resistant, are seamless and keeps dirt and bacteria out. That means, even in busy bathrooms, floors will stay clean, bright and completely sanitary—a win for everyone. And with a pebbled and ribbed non-abrasive marble chip surface, Everlast® Epoxy flooring are slip-free with no additional grit is needed. So all those drips and dampness? Users will be safe and your floors will stay mold-free. It’s the simply, sanitary solution for any public or high-traffic restroom.